The trench coat was developed as a clothing for Army officers in the First World War. As the IKIGAI concept prevails, healthy and natural lifestyle become a new fashion, and thus plain trench coats evolve to be key items. 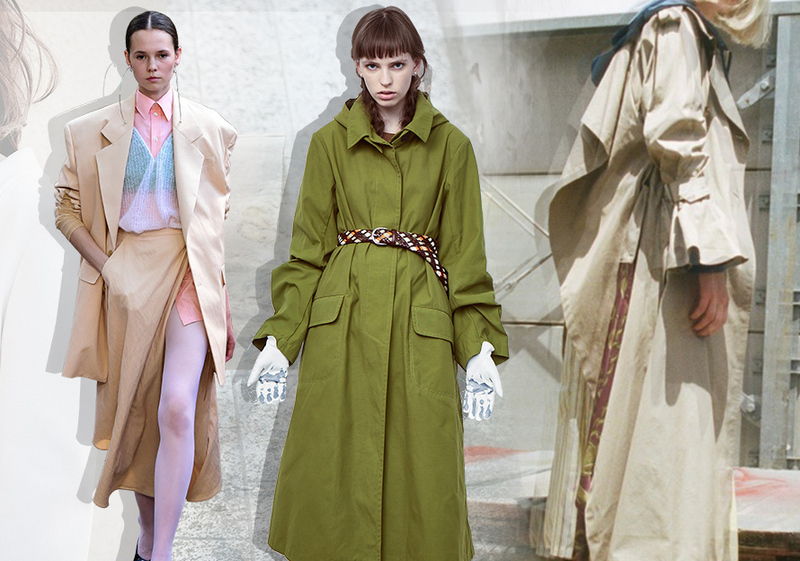 In S/S 2019, trench coats do not focus on crisp design, but opt for sport elements including drawstring and hood. 3/2 shoulder and combination with suit give a soft touch.